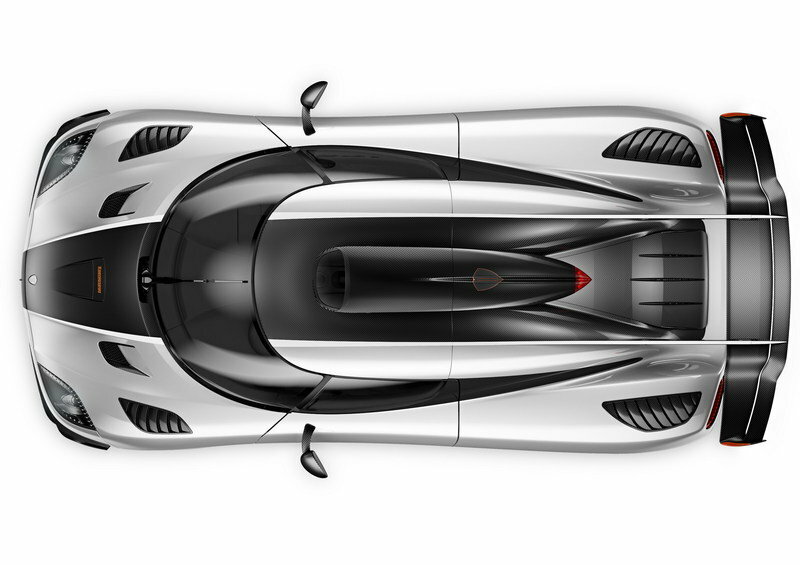 Koenigsegg is planning on breaking a few records with the Agera R and One:1. The Koenigsegg One:1 was built in just seven examples with the first being a working prototype. The name “One:1” is derived from the car’s amazing horsepower-to-kilogram weight ratio, which as you probably guessed is 1:1. 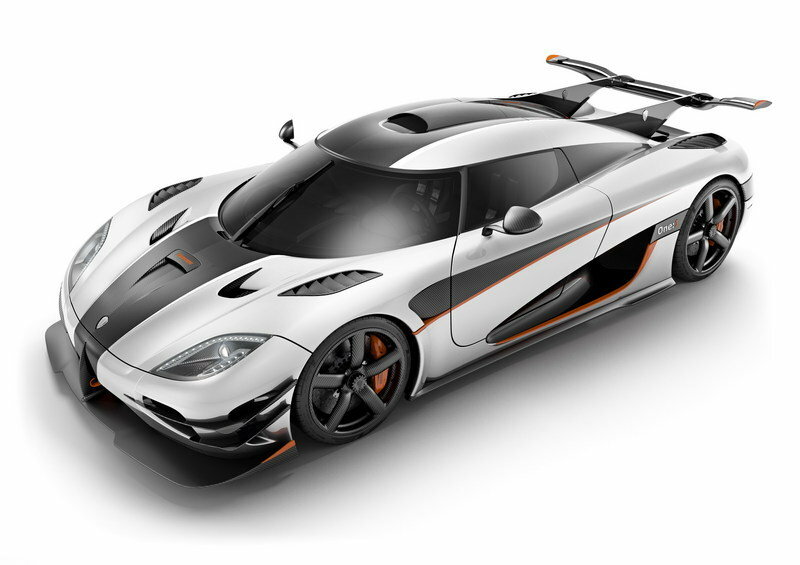 A sibling of the 2013 Koenigsegg Agera R, the One:1 effectively raised the bar for performance and was dubbed the world’s first megacar, being able to produce a total of 1 megawatt of power (about 1341.02 horsepower.) 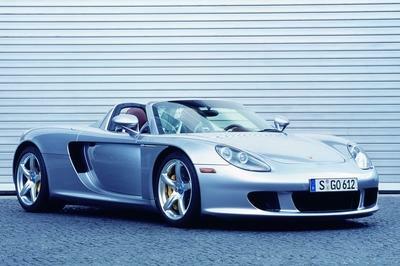 It also produced a maximum torque of 1011 pound-feet at 6,000 rpm. The most interesting part is that the One:1 is able to run on a number of different fuels, including normal gasoline, race fuel, and believe it or not, E85 biofuel. 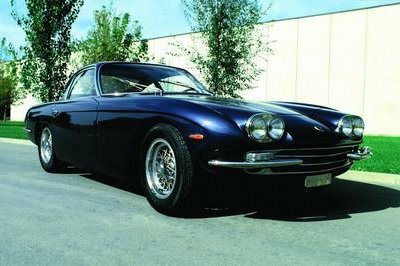 All six production models were sold out before the car even made its official debut, claiming around $2.4 million from the deep pockets of each purchaser. The Koenigsegg One:1 pretty much became an immediate legend in the supercar world, but as far as power goes, it has already been trumped by the 2017 Koenigsegg Regera. Be that as it may, the One:1 still paved the way for the next-gen models that will build upon the highest performance standard of any supercar manufacturer on this planet. With that said, let’s take a good look at the world’s first megacar and everything that makes it one of the best models ever to roll out of Koenigsegg’s manufacturing facility. Updated 08/13/2015: The new Koenigsegg One:1 will be making its North American debut during Classic Car Week in Monterey, California. The model to be displayed in the States is the last from the six customer cars built by Koenigsegg and will be delivered to its American owner in the near future. 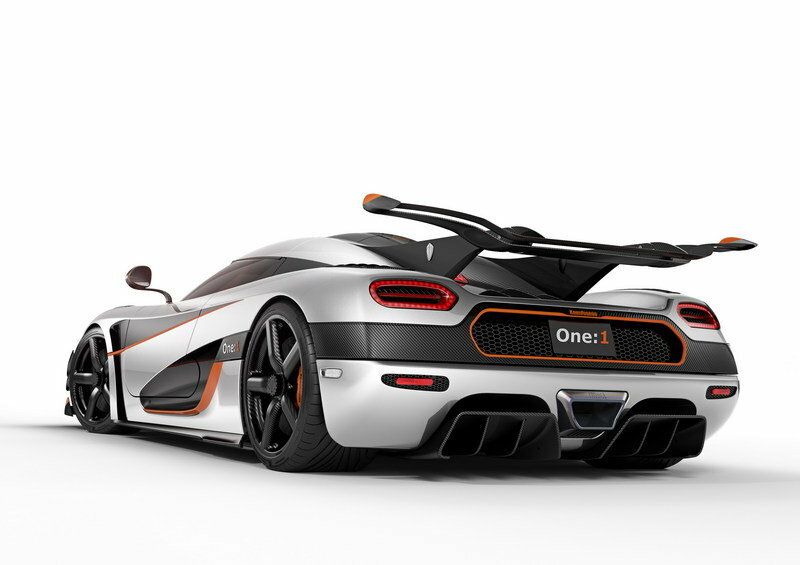 Click past the jump to read more about the upcoming Koenigsegg One:1. 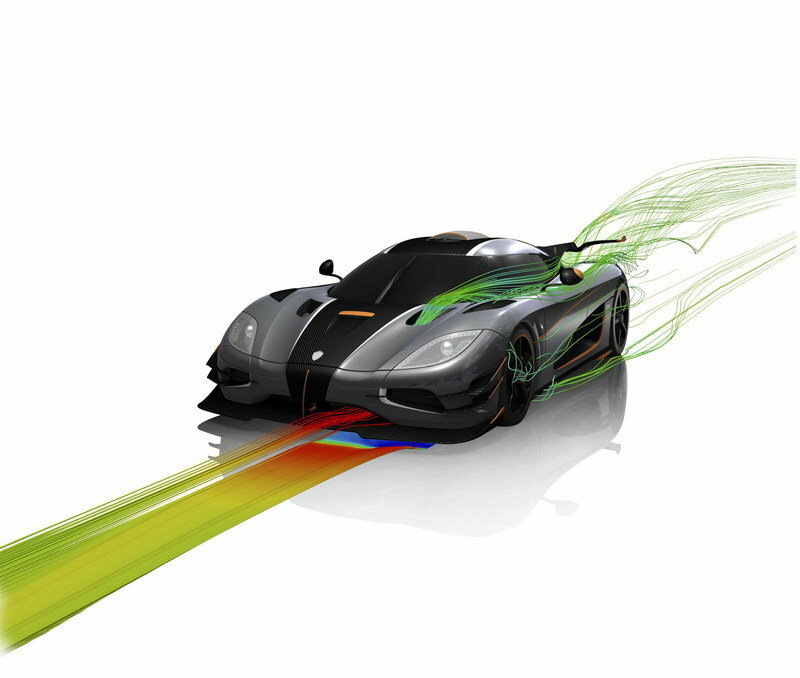 The designers at Koenigsegg left no stone unturned to make the One:1 as aerodynamically efficient as possible. The result is a hypercar that looks more like a track-only rig than a road-legal car. The result is a hypercar that looks more like a track-only rig than a road-legal car. dynamic rear wing to give the best combination of downforce, drag and braking. The only thing this extreme in terms of the looks and aerodynamics is probably the Pagani Zonda R, but let’s not forget that it’s not street-legal. Bathed with carbon fiber, the gills, air flow directors, mirrors, rear wing, air scoops and the vertical stabilizer add to the performance as well as the ferocious look of the car, so it can’t really be mistaken for an Agera. Other options include full-naked carbon body, custom body stripes, titanium exhaust outlets and painted brake calipers if the it still doesn’t feel special enough to you. Compared to the exterior, the interior is less extreme. Extensive use of weight-saving material along with removal of unnecessary luxuries have contributed to a lower curb weight. 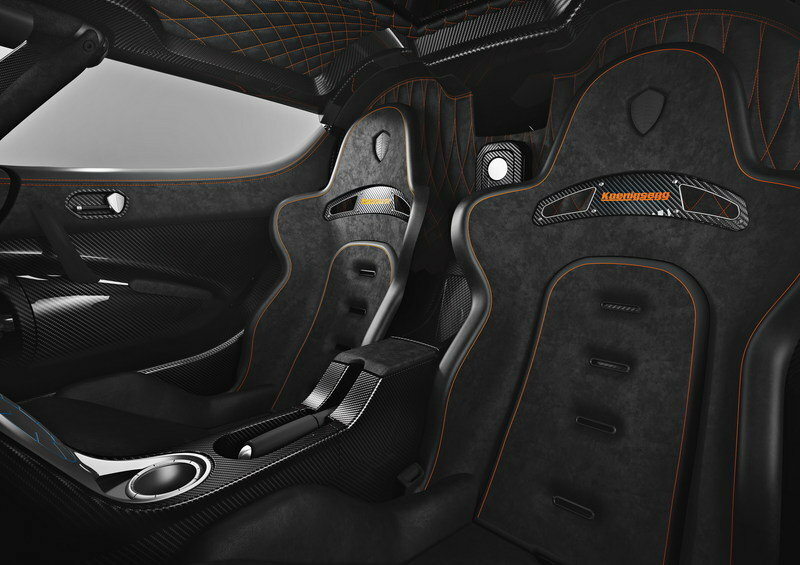 Bathed in carbon fiber and dark Alcantara highlighted with orange accents, the interior of the One:1 has a purpose-built appearance. This is where the One:1 really shines. Powered by Koenigsegg’s 5.0-liter, twin-turbocharged V-8 engine that can burn biofuel, race fuel or standard gasoline for flexibility. can rocket to 400 km/h (248 mph) in about 20 seconds. My best estimate on a 0-to-60 time of this beast would be the 2.5-second range — maybe even quicker. Power is rated at 1 MW (1,341 horsepower) — things are ridiculous when you’re measuring a car’s output in megawatts — with a peak torque of 1,371 Nm (1011 pound-feet) available at 6000 rpm. Add to the outrageous power output the use of advanced M55J high modulus fibers to decrease the weight of the chassis by 20 percent compared to the standard Agera chassis, and the result is a car with a dry weight of just 2,954 pounds. 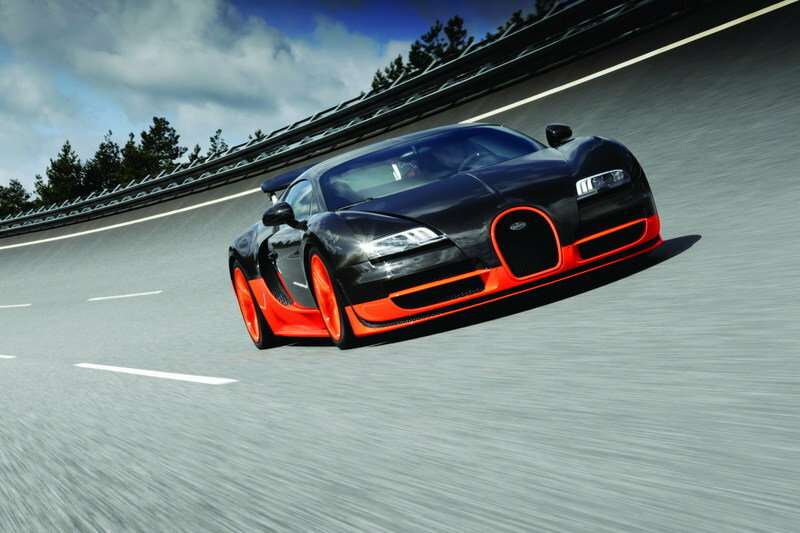 To put that in perspective the Bugatti Veyron Super Sport has a weight of 4,052 pounds and 1,200 horses propelling it. Top speed for the car has not yet been officially announced by Koenigsegg, as it said "Top speed has not been a priority." They aren’t fooling anyone, considering the fact that the car comes fitted with custom Michelin Cup Tires with a speed rating of 440 km/h (273 mph). Acceleration (0-400KM/H) (248.5 MPH) 20 Sec. In keeping with its status of excess, the Koenigsegg One:1 comes with an exorbitant beyond measure price tag of $2.85 million. Not that it matters to anyone who’s faces just droppedl; all available units of the One:77 are already spoken for. One challenger that the Agera One:1 could is the Veyron SS, which has been around for a while. Though the Bugatti’s looks aren’t really to everyone’s liking, the unarguable fact is that the Veyron is one of the biggest engineering marvels since the McLaren F1. Powered by 16-cylinder, 8-liter engine, the Veyron does 0 to 60 in a mere 2.5 seconds, and if you are crazy enough to open it all the way up, it’ll hit 267 mph. 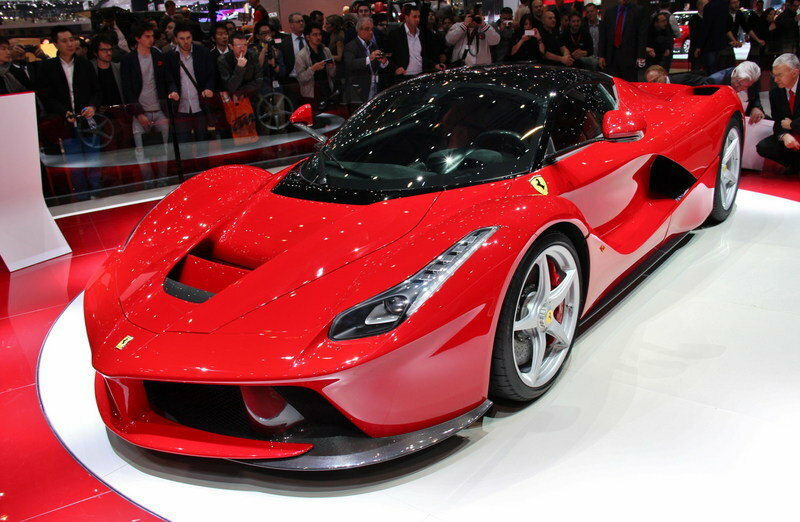 The Ferrari LaFerrari rolled out to plenty of "ohhs" and "ahhs" until that silly name was released. Uncreative naming aside, the LaFerrari is a mean machine that squeezes a monstrous 963 horsepower and 663 pound-feet of torque from its 6.3-liter V-12 and electric motor. It’ll sprint to 60 mph in under three seconds and up to a top speed of 217 mph. The more traditionally named P1 is prime to make a run at hypercar supremacy, as many rumors point toward an unreal, but unconfirmed, `Ring time. 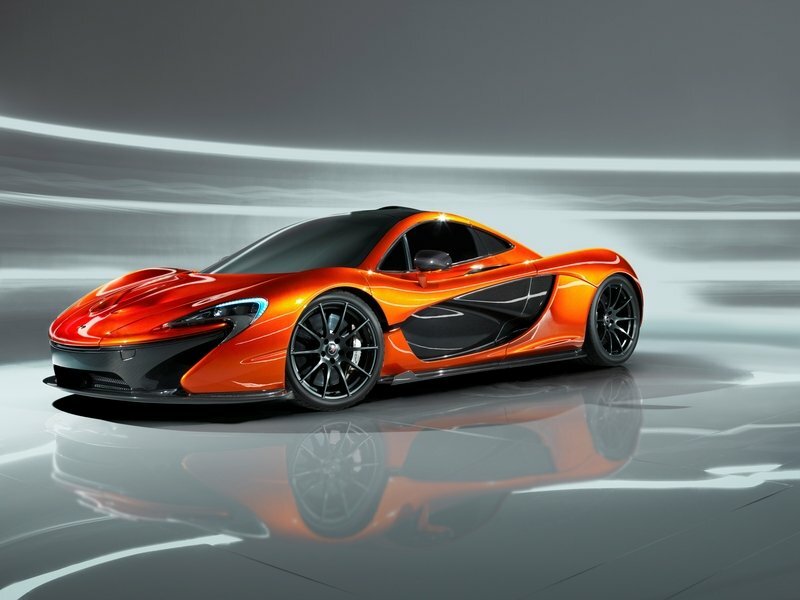 The P1 rolls out with a 3.8-liter V-8 with an embedded electric motor that pair up to produce a mammoth 903 horsepower and an estimated 1,100 pound-feet of torque. This power allows it to hit 60 mph in 2.8 seconds and sprint to 217 mph before hitting its governor. 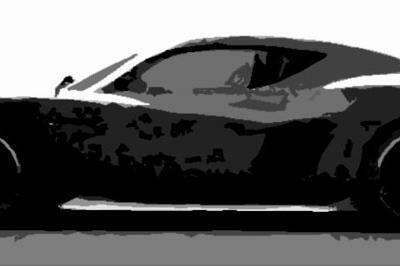 We expect to have more details about the One:1 after it’s official unveiling this March at Geneva Motor Show. Can’t possibly hold Guinness top speed World Record. Updated 07/27/2015: Christian Von Koenigsegg himself offered a closer look at the One:1 - and we have to admit it’s one of the best so far. Enjoy the video! Updated 07/21/2015: Koenigsegg took its new One:1 to the Circuit de Spa-Francorchamps and managed to set a new track record. The car lapped the circuit in a total of 2:32.14 - becoming the fastest road legal production vehicle using normal road tires. But this was a practice lap due to noise restrictions. Stay tuned for the real-deal lap time. 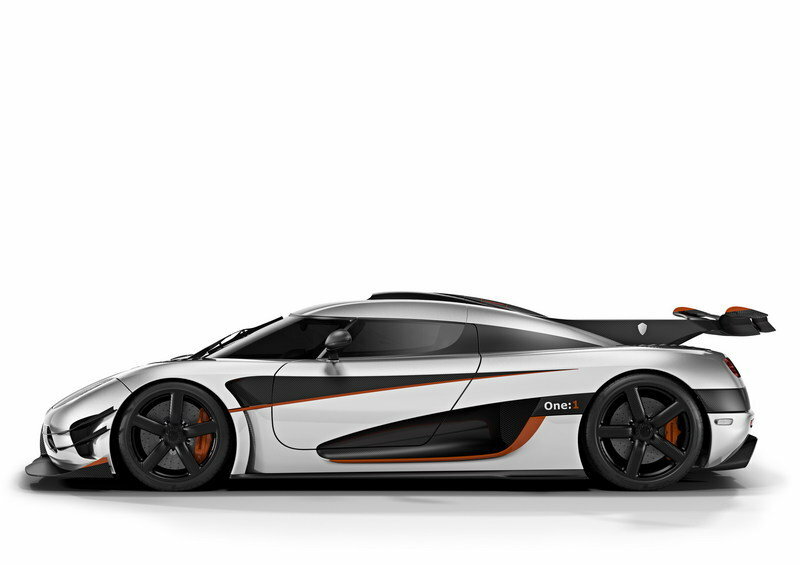 Updated 2/28/14: Koenigsegg revealed the One:1 to the world to loads of ohhs and ahhs. You can see all of the details after the jump. Updated 1/28/2014: According to a report from GT Spirit, Koenigsegg will reveal the One:1 at the 2014 Geneva Motor Show, which means the press will get a look at it sometime between March 4th and 5th. 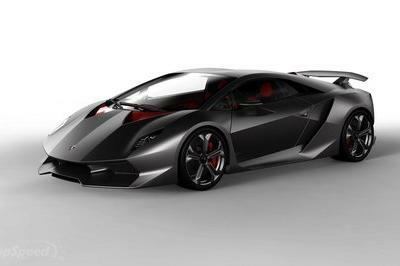 The report also let us know that the One:1 will produce 1,400 horsepower and will weigh 1,400 kg (3,086 pounds). A;ll six examples of the One:1 are already sold out. 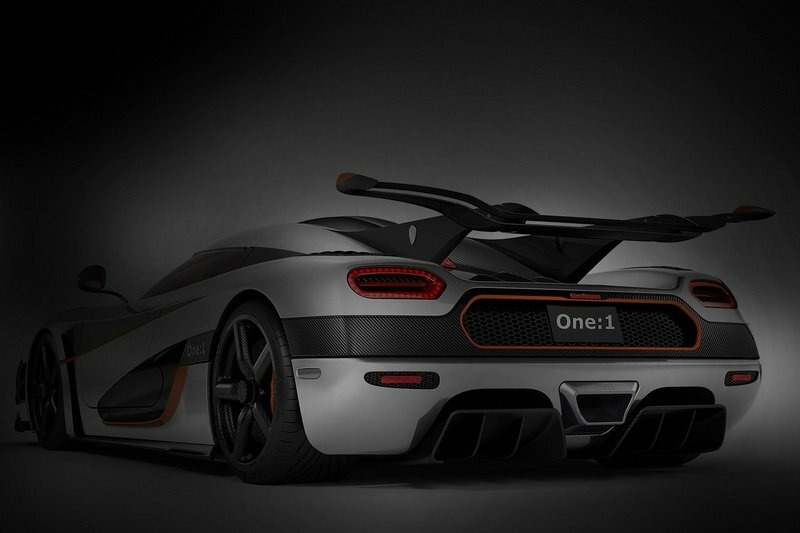 Koenigsegg also promised that when the One:1 finally hits the market, it will be the fastest supercar in the world. It will be capable of hitting a top speed of about 450 km/h (279.6 mph), plus it will break the records for the 0-to-200 km/h (124 mph), the 0-to-300 km/h (186 mph) and even 0-400 km/h (248 mph). Koenigsegg hopes to complete the latter sprint in less than 20 seconds. Koenigsegg has released a new teaser today for its upcoming super-mega-awesome-extra-ultra hypercar, the Koenigsegg One:1. For those who are unaware of the rumors that have been swirling around this Swedish slab of speed, the name One:1 refers to the cars power to weight ratio. It will have one horsepower for every kilogram of weight. Even the might Bugatti Veyron Super Sport can only boast 1 horsepower for every 1.5 kilos. Of course with an estimated curb weight of 1,340 kg, the Koenigsegg One:1 will need to have 1,340 horsepower, so it will be more powerful than the big Bugatti as well. If Koenigsegg gets this right, the One:1 has every chance in the world to become the new fastest production car ever created. 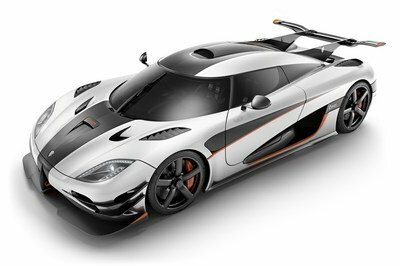 The engine will most likely be a modified version of the 5.0-liter twin-turbo V-8 that is used in the Agera R. It is unclear yet if Koenigsegg will boost performance with increased boost pressures or if it will attempt to bore out the engine to a larger displacement. Koenigsegg is keeping weight down, thanks to a construction that is almost completely carbon fiber, all of which is manufactured in-house. When building cars capable of this speed, Koenigsegg didn’t want to risk its quality control by dealing with a third party, so it has full carbon-fiber fabrication facilities in the factory. Koenigsegg has revealed to us that its latest and greatest supercar will bow to the public next month at the Geneva Auto Show in Switzerland.